likely improvement from the engine & component segment for the aerospace division. ST Engineering also affirmed that the imposition of tariffs on steel is unlikely to impact existing contracts for the marine sector. On the valuation front, ST Engineering is trading at just 1.6x P/S, vs a 10-year average of 1.64x, and 1SD below mean PE. Maintain BUY. Target: S$4.10. 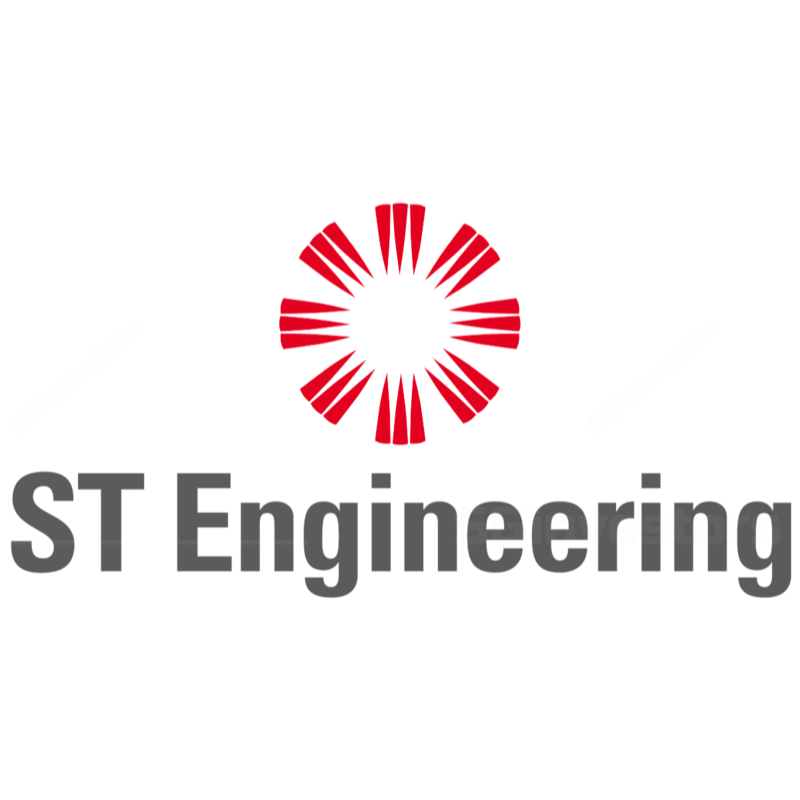 We met up with ST Engineering (STE) and key takeaways are as follows. Marine division still remains weak and recovery is elusive. The industry is plagued by overcapacity. ST Engineering (STE) has scaled down its exposure to commercial O&M shipbuilding sector, such as offshore supply vessels (OSV) and articulated tug barges (AHTS). In Singapore, they have launched the heavy fire vessel for Singapore Civil Defence Force (SCDF) and laid keel for the eight and final littoral mission vessel (LMV). Thus, we expect to see milestone revenue recognition for these in 2Q18, whilst delivery for the seventh LMV will be in 3Q18. A second ConRo vessel will be delivered in 3Q18, but there will be milestone revenue recognition in 2Q18. Bulk of provisions related to the two ConRo vessels has already been recognised. Overall, we still expect the shipbuilding segment to continue to see sequential revenue decline in 2Q18. (1Q18- 25%), but y-o-y losses are likely to narrow, due to a high base. ST Marine has not been guided on the involvement in Republic of Singapore Navy’s (RSN) new multi role combat vessel (MRCV), but is very likely to be a major supplier. The Singapore Navy's 6 missile corvettes will be retired by 2025 and will be replaced by new MRCV. Five of the former were built by ST Engineering (STE), and as such, we believe that STE will be involved in the production of corvettes. The MRCV will also feature unmanned aerial vehicles for reconnaissance, for which ST Marine has developed the capability. We reckon the earnings impact will only be seen from 2022 onwards. Not unduly affected by tariffs on steel and aluminium in the US. Steel prices have risen by about 50% since the start of the year, but ST Marine has not seen any direct impact. First, there are price escalation clauses built in. Next, ST Marine has already procured its steel and aluminium for US shipbuilding operations prior to the implementation of tariff. Separately, ST Aerospace is not affected by tariffs on aircraft parts. They have an extensive component and parts supply chain, and often times, they repair older components for use. Early redemption of US$500m will lower funding cost and improve ROIC. ST Engineering (STE) announced in July that it will redeem in advance a US$500m medium-term note (MTN) via internal funds. STE believes that this will lead to a more efficient capital base. We believe this signals that STE is not looking at major capex and is also a sign of confidence in its cash generation and advance payments from customers. Electronics division will be key earnings driver. ST Engineering (STE) maintains that Smart City applications will be a key revenue driver. STE had guided earlier that smart city related revenue was slated to more than double to >S$2b in 5-years. Both revenue and earnings growth might also not necessarily be back-end loaded as what we had envisioned earlier. Our sense is that smart city applications will be implemented at critical government installations, together with cyber security solutions for command and control centres by end-18 and early-19, which will be the earnings driver for the period. JV with JTC Corporation for Smart City platform will act as a technology demonstrator when it is operational in 2023. In addition, STE is simultaneously pursuing such opportunities via JV with Keppel Corp, beginning with commercial building applications in Saigon. STE will release its 2Q18 earnings on 8 August. Overall, we estimate 5-7% net profit growth in 2Q18 and 8.8% growth for 2018. We also expect STE to declare an unchanged interim dividend of 5 S cents. Stay invested as STE is likely to see revenue and earnings growth; trading below historical price to sales ratio. ST Engineering (STE) has outperformed the ST Index by 5.2% ytd and offers a dividend yield of 4.4%. The stock is trading at 1.61x P/S, below 10-year average P/S of 1.64x and at -1SD to long term mean PE. While there are cyclical components to the business, the Singapore government’s ongoing focus on cyber security and smart city applications as well as naval contracts will provide some degree of earnings stability. In the near term, the company’s guidance that it will recognise S$3.2b in orderbook for 9M18 implies a 7% growth in orderbook related revenue. We have assumed that overall revenue will rise by 6.6% in 9M18. We raise our 2018 net profit estimates by S$40m or 7.7% as we factor in higher revenue from the electronics sector. Our target price remains unchanged at S$4.10 as we continue to value ST Engineering (STE) on an EV/Invested capital basis. Our target price implies 2018F fair-value PE of 22x and dividend yield of 3.7%.